We all know that car insurance isn’t exactly cheap. But, car insurance is a necessity in South Africa. When something happens to your car, you want to know that your car is covered. You really don’t want to be stuck without car insurance. There are so many insurers in South Africa, so how do you know which insurer you should choose for your car insurance? Is car insurance something that you associate with increasing costs each month? Is there an insurer out there who is keen to drop your monthly cost in line with the drop in value of your car? Does such an insurer even exist in South Africa? The answer is yes! You read that correctly! LikeMoney informs you that there is one such insurer! 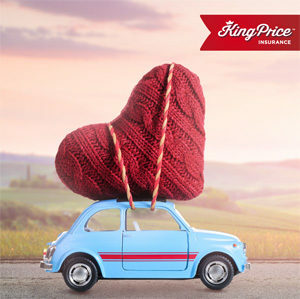 With King Price Insurance, your monthly cost drops in line with the drop in value of your car. Even better, the more cars you insure under one policy, the higher the discount you get and you still get to watch your premium decrease monthly. Are you curious to find out more? Let’s see how this actually works. How does it work with Insurance Company A? For instance, you are insured with company A that offers to insure your car worth R125,000 for R520 premium per month. You might be wondering what happens afterwards? After a year, Your cars values decreases to R110,798 but increases the cost to R590 a month even though you didn’t claim at all throughout the year. You pay insurance for a car worth R125,000. But if your car is stolen in December, Company A will only pay you R111,917. Now that you know how it works with Company A, you can find out how it works with King Price Insurance. How does it work with King Price Insurance? Here is some important information for you to have. With King Price Insurance, for instance, the retail value and the insured value of your car are the same each month. Yes, the same each month! What about your monthly cost? Your monthly cost will decrease! King Price Insurance will decrease your monthly cost! If you insure 2 cars with King Price under the same policy you will receive an extra 10% discount on your monthly premium as well as the monthly decrease. Lets assume that you have 2 cars in your household, each worth R125,000. Cost to insure both cars based on R520 per car = R1,040. With the 10% discount offered by King Price you are looking to pay about R936, and you still get to watch your premium decrease monthly as per the table below. Now, that you have read about King Price Insurance, you should consider using King Price Insurance as your insurer! Get a quote today and discover how this insurer can assist you! There are so many things that you have to worry about every day, but car insurance shouldn’t be one of them. With LikeMoney, you can get car insurance quotes! Find the right insurer for your needs.